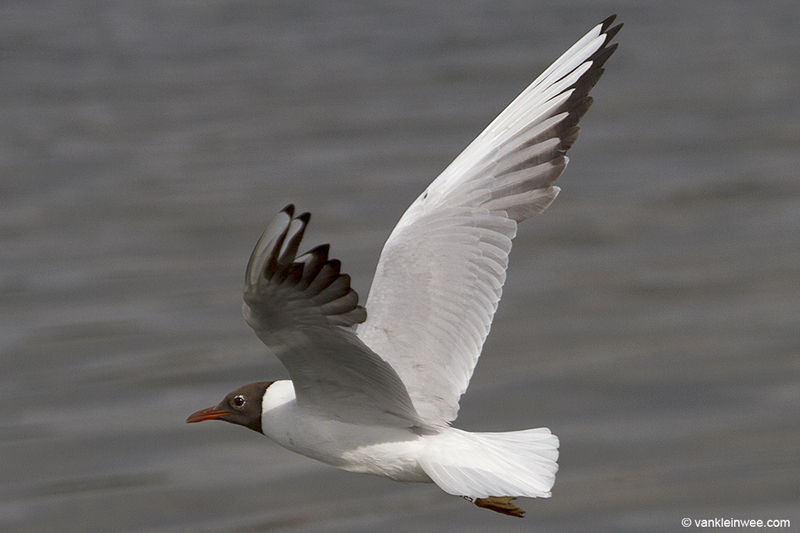 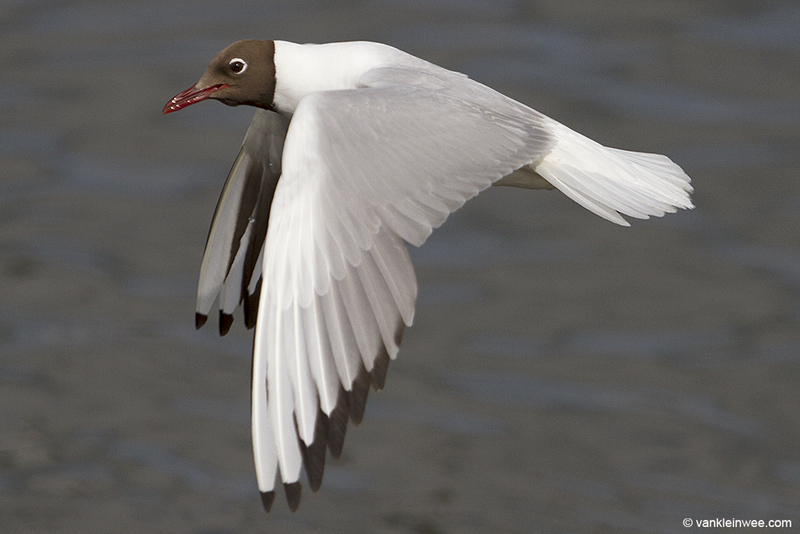 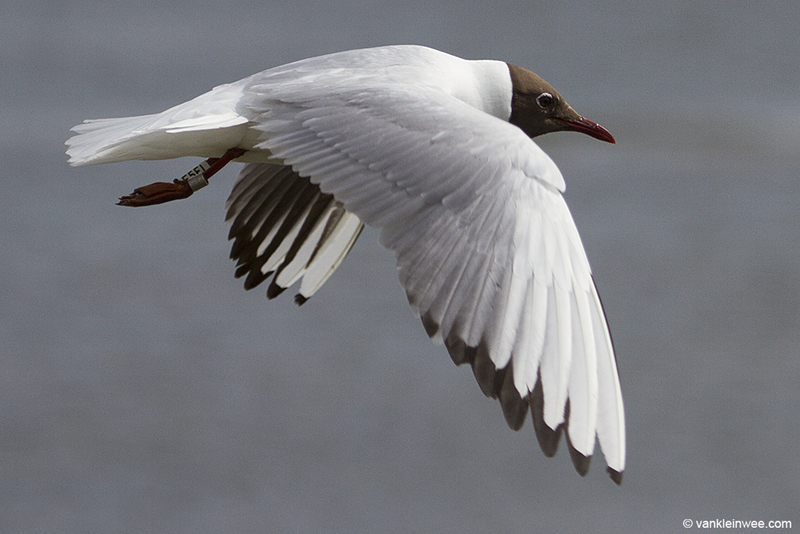 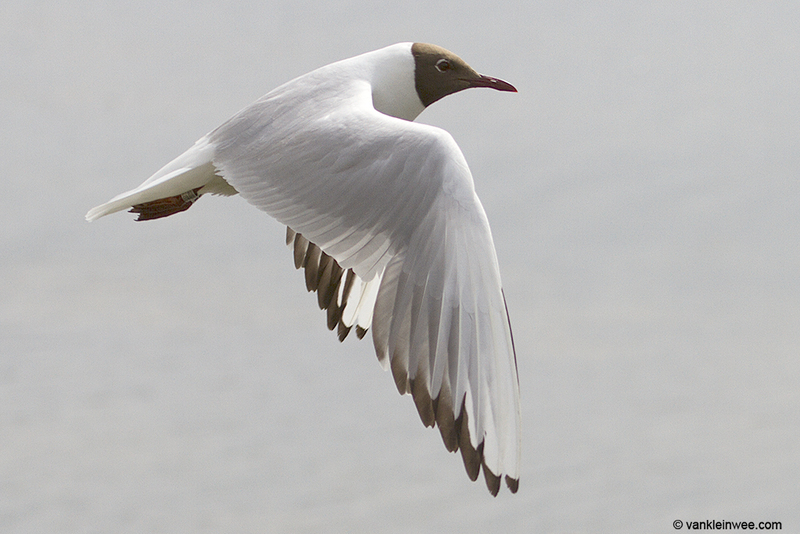 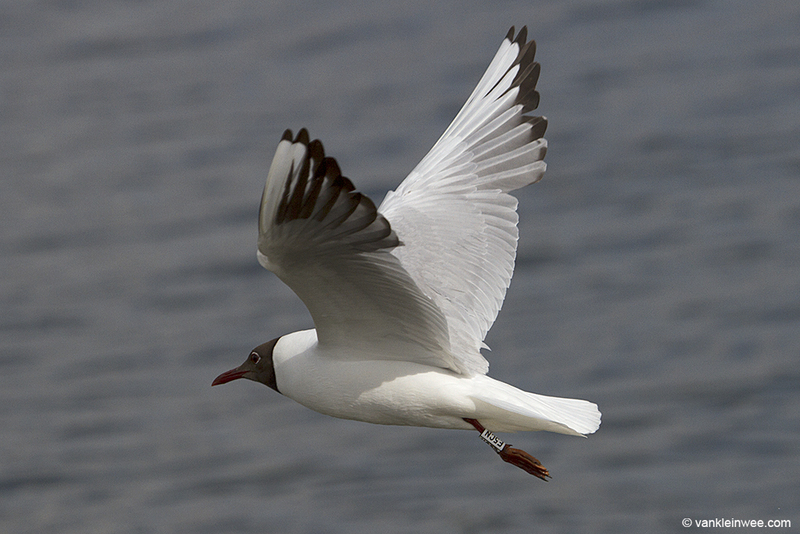 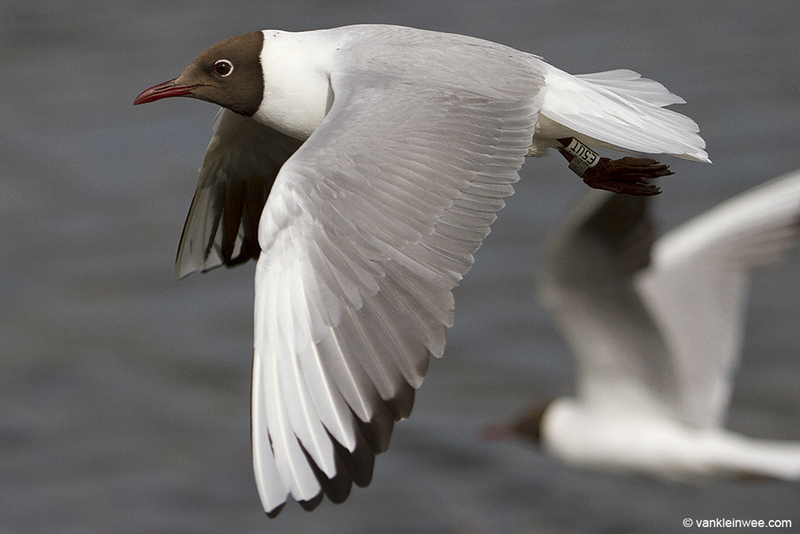 Images of adult Black-headed Gulls Chroicocephalus ridibundus showing a large variation in primary moult, ranging from all primaries still present to having dropped primary P5. 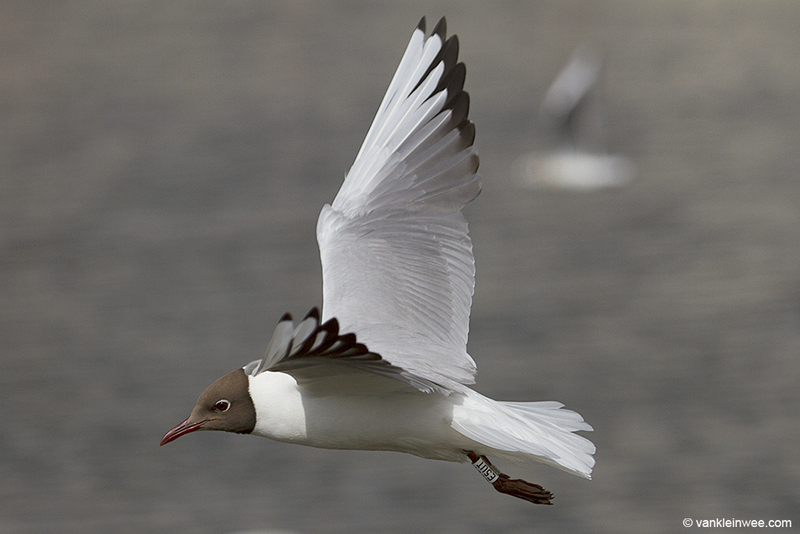 All images were taken in the breeding colony near Zoetermeer, the Netherlands, 28 June 2014. 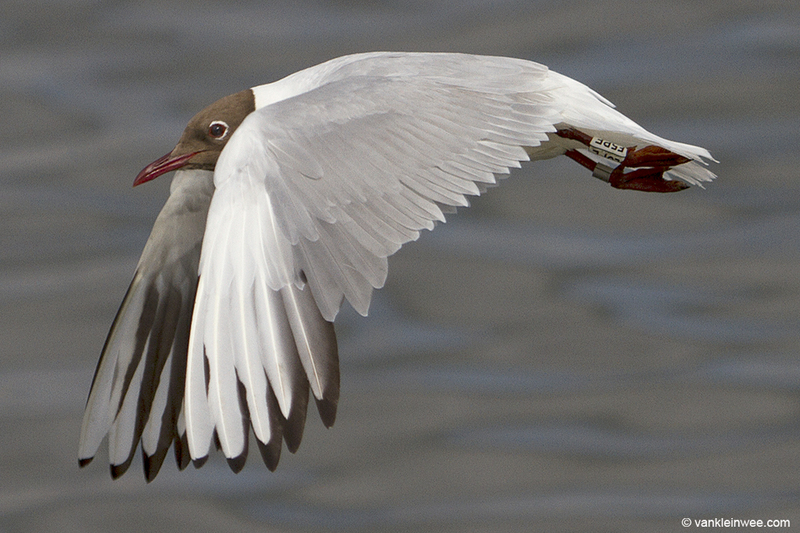 Note that P2 is present in the left wing but has been dropped in the right wing. 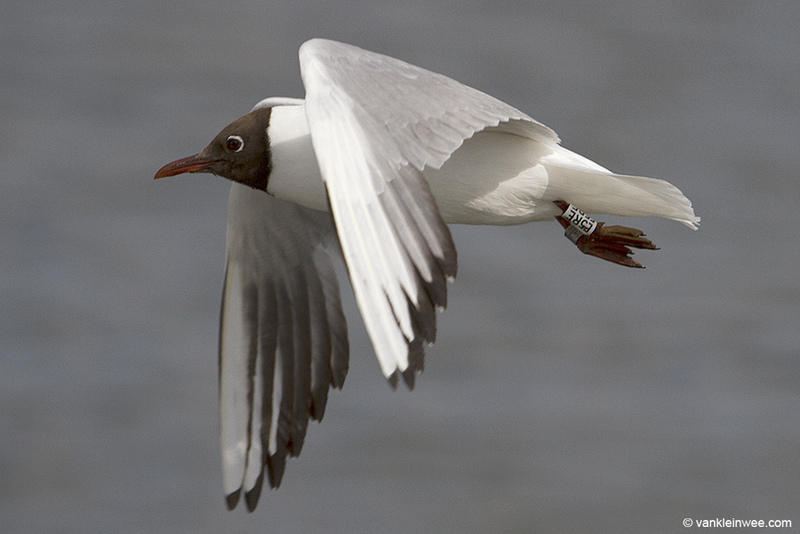 Note the black mark on the alula.